On Monday, Kylie Jenner officially made cosmetic lovers dreams come true when she took her Kylie Cosmetics brand a step further. Revealing her first #SummerSurprise, Jenner announced her Kylie Cosmetics KyShadow Bronze Palette, much to her fans' delight. However, that wasn't it — Kylie Jenner is delivering KyShadow Palettes to her fans in her latest #SummerSurprise. Jenner is hitting the streets of Los Angeles to shower her most supportive fans with the latest Kylie Cosmetics product, and if her Snapchat is any indication, her fans are definitely appreciative. When Jenner announced the new KyShadow Bronze Palette on her website and mobile app on Monday, her fans essentially blew up the Internet. The Twitter reactions to the KyShadow was on par with any recent lip kit launch, and I'd wager that the palette is sure to sell out just as fast as Jenner's original three lip kits if not faster. Her poor fans are probably worried sick about getting their hands on the new Kylie Cosmetics product when it launches tomorrow at 3pm PST. Jenner, however, seems to have anticipated her fans' fears. While a pre-sale for super fans could probably be done, the cosmetics mogul took it one step further. 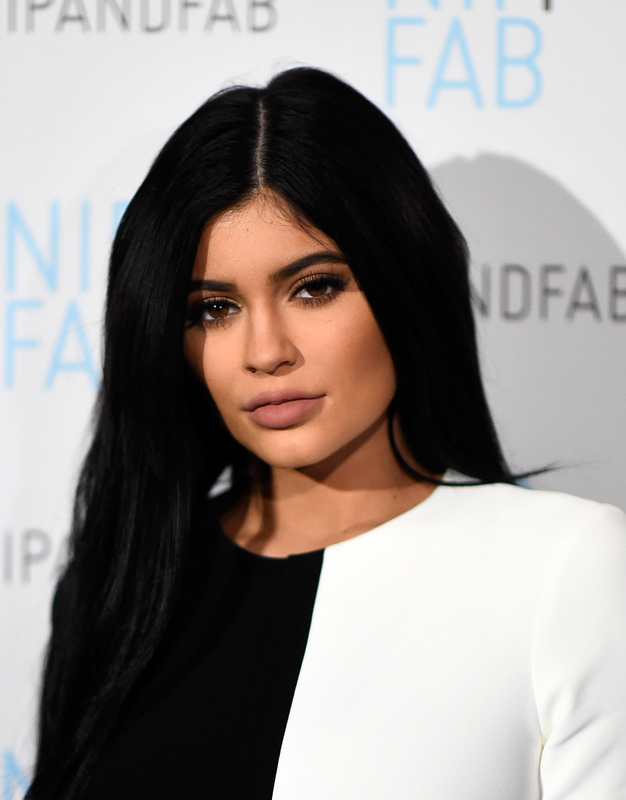 Kylie Jenner is delivering KyShadow palettes to fans, so hey, Kylie, can we get on that list? Jenner choosing to hand deliver the palette just shows how dedicated she is not just to her brand but to her fans. The star has also shown a dedication for doing what's best for her customers and fans, and that certainly doesn't seem to be changing now. While an expansion of her brand could be blamed for a lack of attentiveness, Jenner isn't going to fall into that trap. Plus, it's clear that Jenner not only loves her fans but her product. In the announcement video for her KyShadow, she revealed that she's been rocking the warm-toned hues for months prior to the release. A celebrity who rocks their own products shows a true belief in what they've created. In one day, Jenner has not only launched a seriously popular new product but she's delighted fans. The #SummerSurprises keep coming, and Kylie Jenner delivering KyShadow Palettes to her fans seems to not even be the last. Until the end of summer, I'll definitely be keeping my eyes open for more surprises. Kybrows, anyone?